Swiss crane service provider Interkran has received its second Demag AC 300-6 all terrain crane. Swiss crane service provider Interkran had already taken delivery of a Demag AC 100-4L, so its new Demag AC 300-6 is now the second all terrain crane from Zweibrücken to be added to its fleet. The crane was received by Interkran General Manager Tony Teixeira and handed over by Terex Cranes Senior Sales Manager of Germany, Austria and Switzerland Christian Kassner. "The performance data for the two cranes definitely made a compelling case, so we just went ahead and ordered both of them," Teixeira said. In the case of the AC 300-6, he was particularly impressed by the unit's load chart. For example, the crane can lift up to 16 tons (15 t) with its 262 ft. (80-m) main boom fully extended. This makes it the ideal machine for erecting tower cranes, among other applications. In addition to this, the crane offers the longest reach of its class on the market with a grand 393 ft. (119.80 m), which also proved to be a decisive factor in Teixeira's purchase decision. The company, which was founded in 1995 as a one-man operation in the Swiss municipality of Lachen, is a service provider with a broad presence, more than 400 rental cranes, and around 40 employees today. Its core competency consists of renting out and erecting bottom-slewing, top-slewing and luffing jib tower cranes. 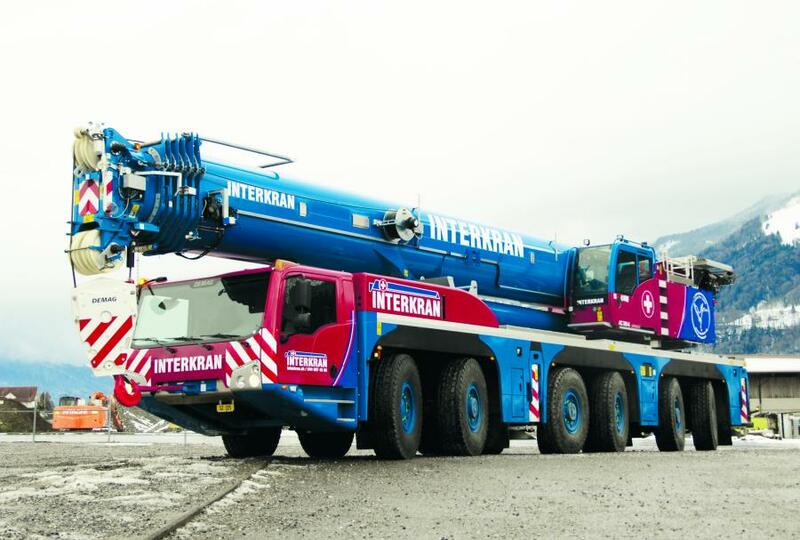 In addition, Interkran has a fleet with mobile cranes featuring lifting capacities of 77 to 330 tons (70 to 300 t), as well as numerous transport vehicles. The company's range of services is rounded off by construction equipment rentals focusing on heavy machinery and generators. For more information, visit www.interkran.ch.